Brrr we are feeling the chill but that is no reason to not look glamourous! 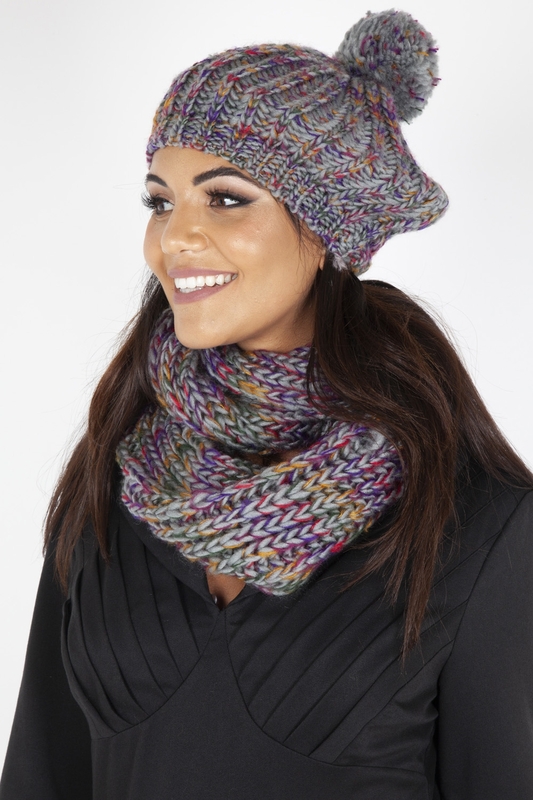 This fun set will add that much needed pop of colour to your winter wardrobe, multi coloured speckles decorate this woolly grey snood and matching cute bobble hat! Love the look? Check out our Beret and Scarf Set in Burgundy!